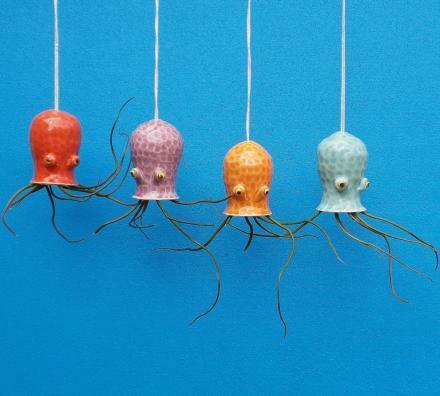 These cute little plant holders hang from the ceiling and are made to look like an octopus as the plant actually hangs upside down to act like the octopus's tentacles, and the pot of the plant acts as the octopuses body. 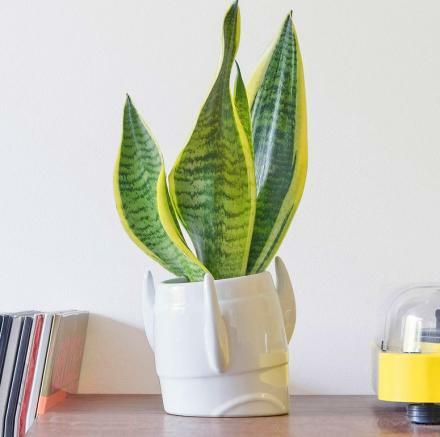 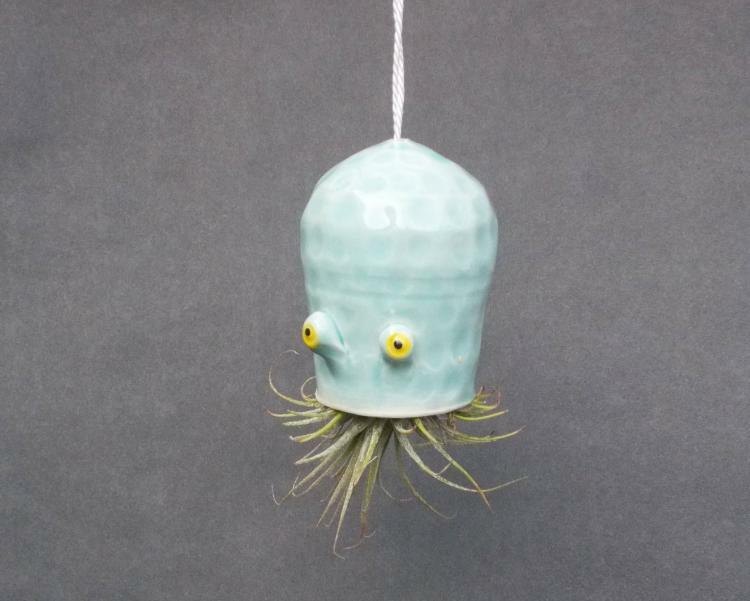 The plant inside the pot is an air plant so it can actually live without any dirt and is able to survive using just air which helps in having it hang upside down its whole life (although you will still need to water it). 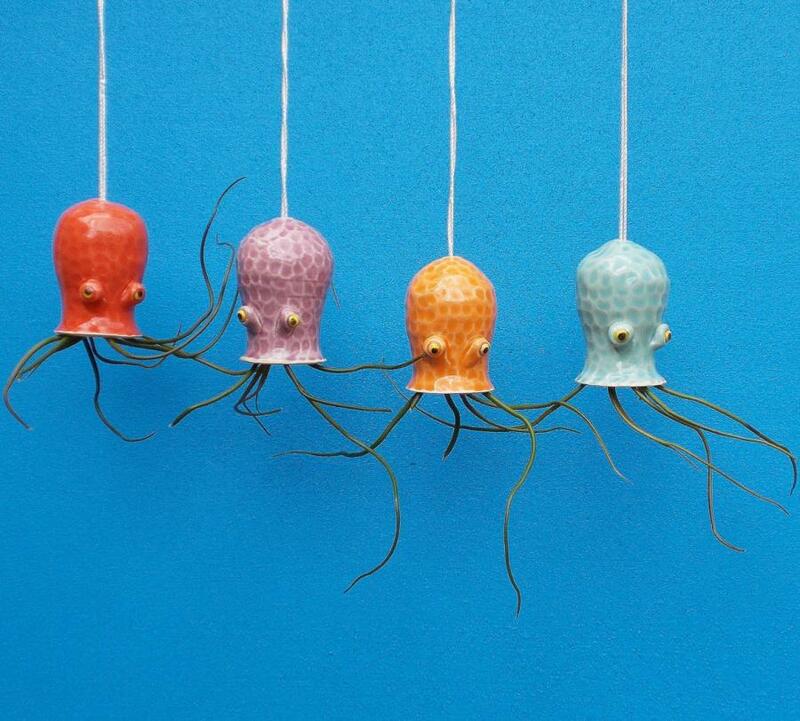 Designed and created by Etsy store owner Cindy Searles, the Octopus hanging plant is just one of many different sea creature hanging planters that they make, with others including a hanging squid plant holder, a hanging jellyfish plant holder, as well as many others. 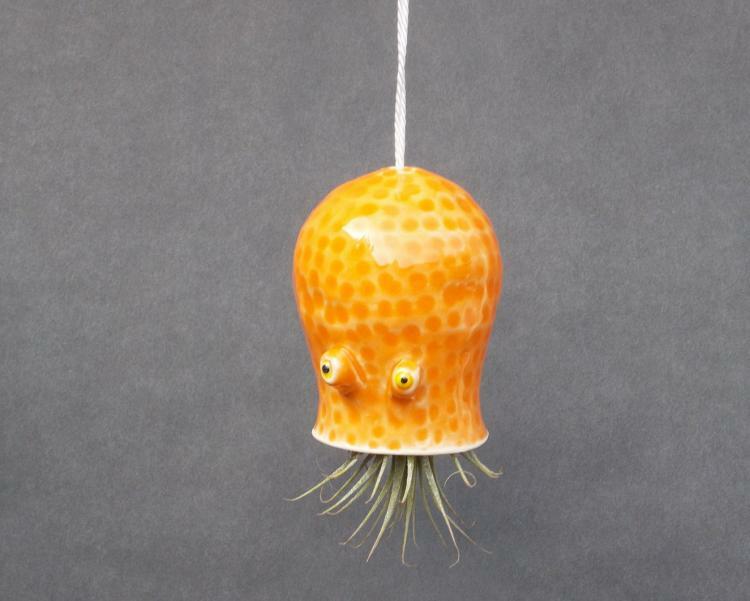 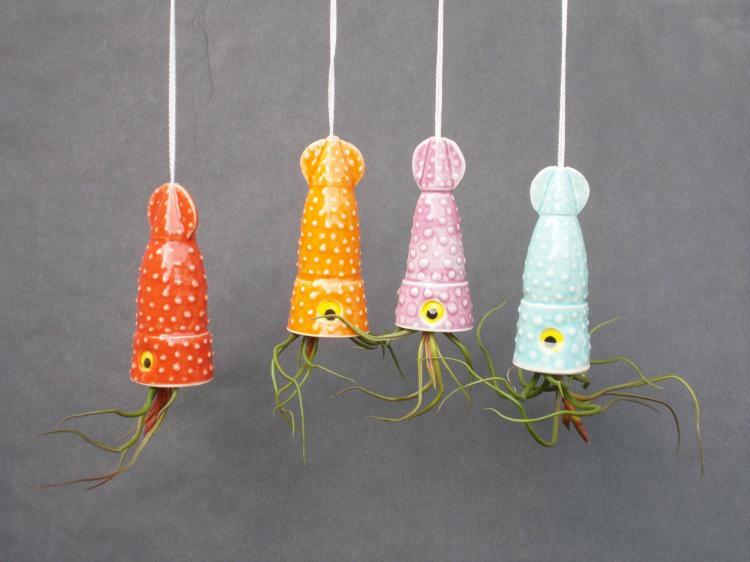 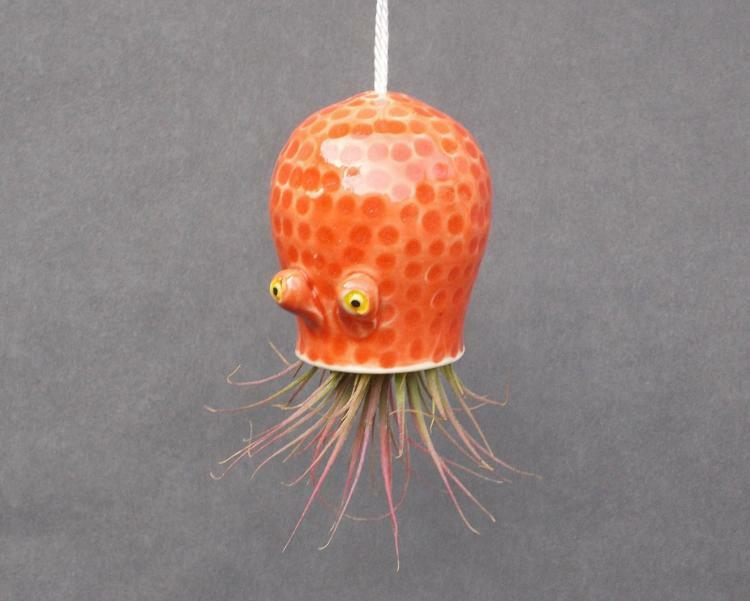 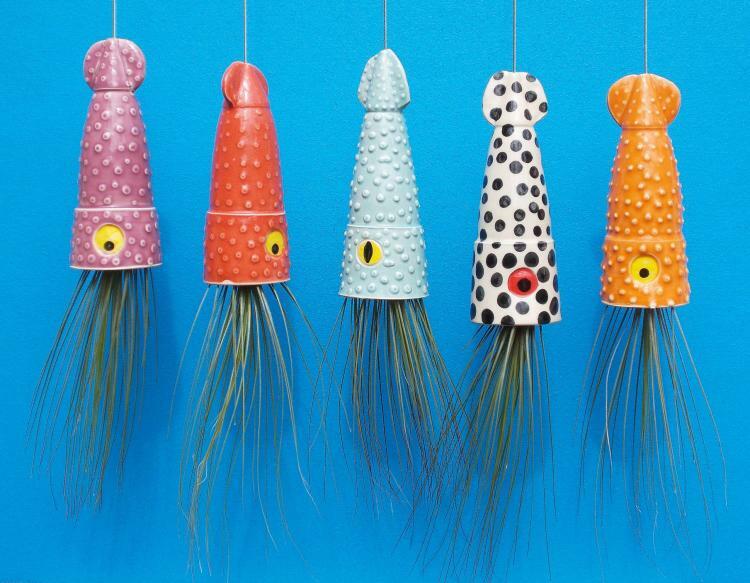 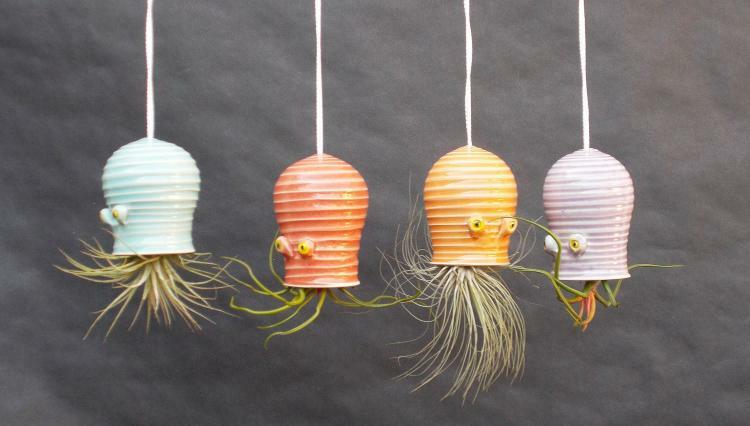 The hanging octopus planters are handmade from porcelain, painted with underglaze, and used with a nylon cord to hang it up, comes in a plethora of different colors to choose from including blue, orange, purple, red, mint, or mango, comes with an 1 air plant, and the planter measures 2.5 inches tall x 2.5 inches wide.